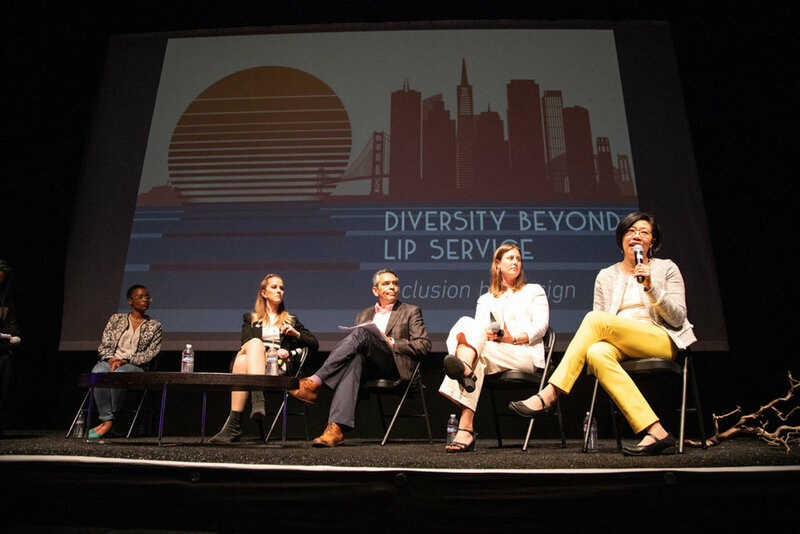 Part of San Francisco Design Week 2018, Diversity Beyond Lip Service: Inclusion By Design highlighted how diversity and inclusion principles can guide the future of the Bay Area from policy to public design to workforce populations. The event opened with City Within a City, an open-air market showcasing local groups and entrepreneurs who espouse inclusive principles in their policies and products, complete with wayfinding and storefront structures designed by the San Francisco chapter of SEGD and fabricated by Thomas Swan. The spacial planning and overarching wayfinding concepts were developed by elementary and middle school students in partnership with NOMA’s Project Pipeline. 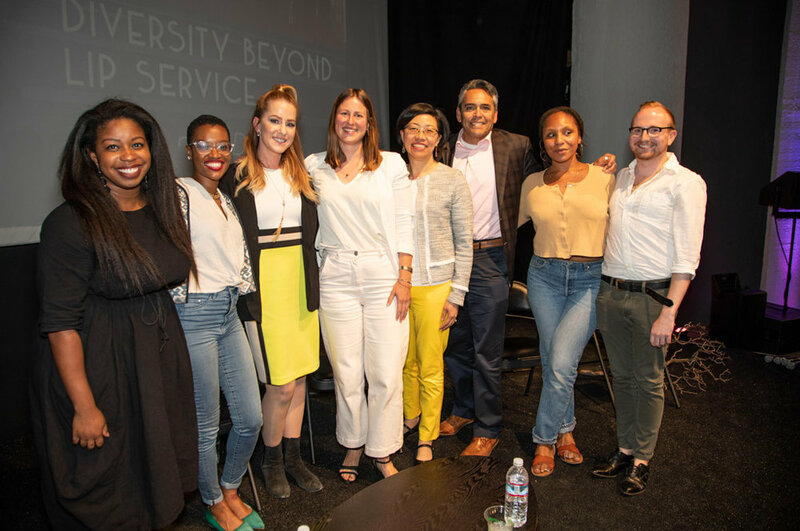 The event also featured a panel discussion on inclusive design between Anna Muessig (Gehl Studio), Clair Farley (Office of Transgender Initiatives, City and County of San Francisco), Chris Iglesias (Unity Council), Rosa Sheng (AIA President, Equity By Design, SmithGroupJJR), and Tamyra Walker (#YesWeCode), moderated by Julia Weatherspoon (Perkins+Will). 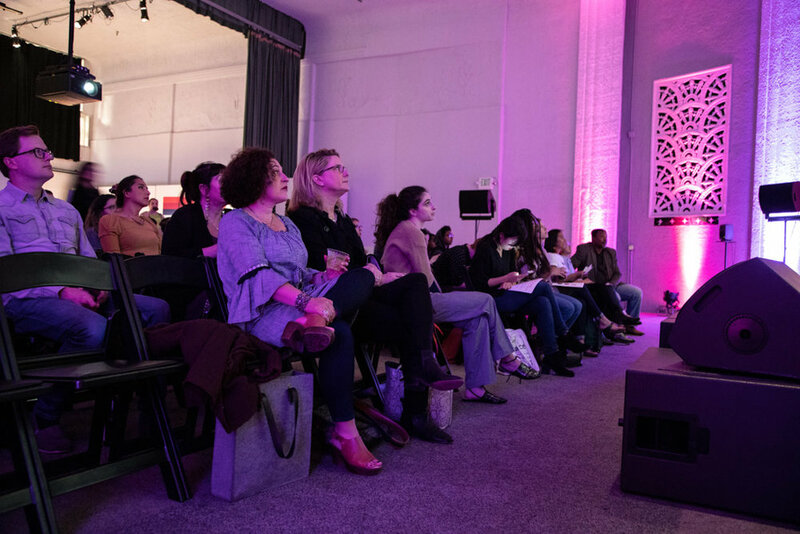 For more on the event ethos, panelists, and organizations and vendors, check out the event program. City Within A City was an open-air market showcasing local groups and entrepreneurs who espouse inclusive principles in their policies and products, complete with wayfinding and storefront structures designed by the San Francisco chapter of SEGD and fabricated by Thomas Swan. The space planning and wayfinding concepts were developed by local students in partnership with NOMA’s Project Pipeline.